U.S. Secretary of State Mike Pompeo on Saturday condemned what he described as Iran's testing of a medium-range ballistic missile capable of carrying multiple warheads as a violation of the international agreement on Tehran's nuclear program. As Haaretz reports, amid tension between Washington and Tehran over ballistic missiles, Pompeo warned in a statement released on Twitter that Iran is increasing its "testing and proliferation" of missiles and called on the Islamic Republic to "cease these activities." 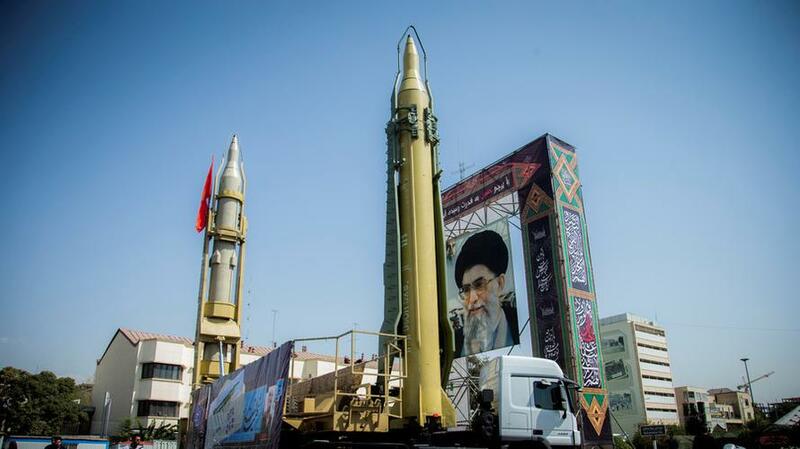 The Iranian regime has just test-fired a medium range ballistic missile that is capable of carrying multiple warheads. The missile has a range that allows it to strike parts of Europe and anywhere in the Middle East. And national Security Advisor John Bolton was quick to jump on this 'violation' warning that "this provocative behavior cannot be tolerated." This comes after the head of the Atomic Energy Organization of Iran warned the European Union on Tuesday that Tehran's patience was running out on the bloc's pledge to keep up oil trading despite U.S. sanctions. He said Iran could resume enriching uranium to 20 percent purity, if it fails to see economic benefits from the 2015 deal that curbed its nuclear program.